Not everyone vacations in the summertime. Although the image below may at first glance appear to be a lovely woman posing for a vacation photo, it is actually one of a series of photos taken in August 1933 during a Cranbrook Institute of Science (CIS) field exhibition to the Southwestern region of the U.S. This is Isabelle Porter Cahalane (1903-1978), wife of the first director of CIS, Victor Cahalane (1901-1993). 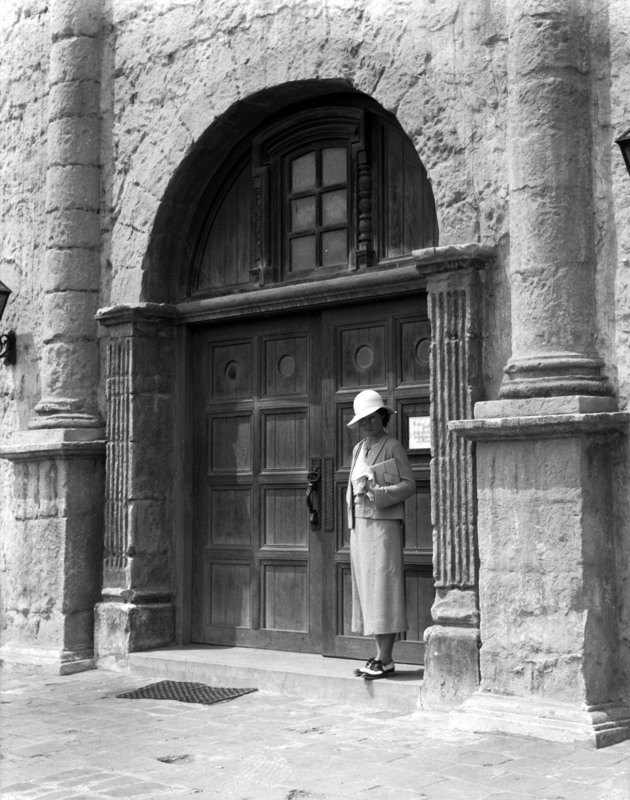 Isabelle Calahane in front of the Mission Santa Barbara, Aug 1933. Victor Cahalane, photographer. Courtesy Cranbrook Archives. Cahalane served as director of the Institute from 1930-1934. A field biologist, he received his undergraduate degree from the Massachusetts Agricultural College, a Master’s degree in Forestry from Yale University, and completed Ph.D. course work at the University of Michigan. In the summer of 1933, the Cahalanes traveled to Arizona, New Mexico, California, and Wyoming to study the distribution of mammals. They visited Chiricahua National Monument, Coronado National Forest, Yellowstone National Park, and the Grand Canyon, as well as several missions. Most of the expedition was spent studying small mammal populations in the transition, upper, and lower Sonoran life zone. According to the fourth CIS Annual Report, “a special and successful effort” was given to capturing the rare high mountain shrew (Sorex).